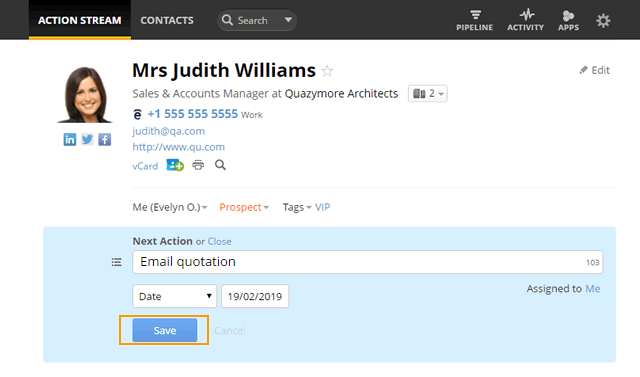 You can create contacts individually in OnePageCRM to store information like name, organization, phone number, email address etc. You can import multiple contacts in bulk using a .CSV file. Read more here. 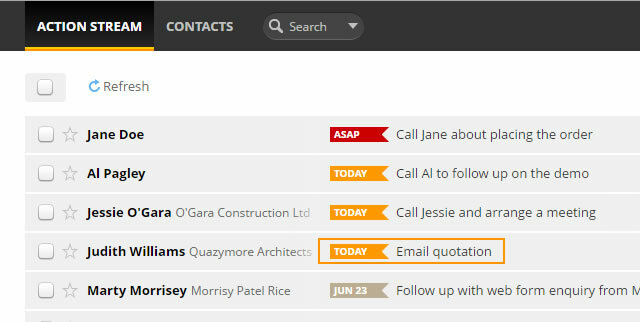 To add a contact, click on the Add Contact button at the top of the Action Stream. In the Contact info box → enter contact's details. Note: Contacts must have either a Last name or Organization name in order to create a contact. 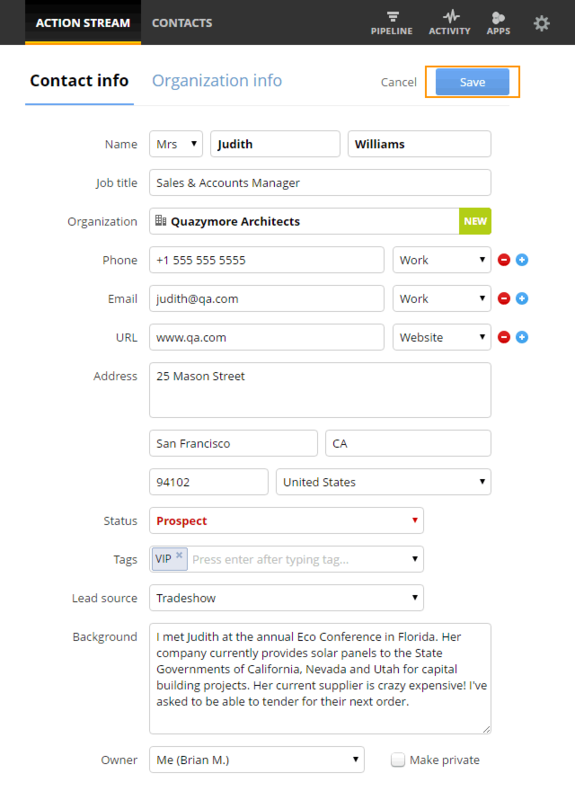 Assign a status, tags, lead source, background and an owner. After you've saved a contact, you are prompted to enter a Next Action for this contact → click Save. After the Next Action is saved, you'll see the new contact in your Action Stream. To bold or italic text, select the text and press "CTRL and B" or "CTRL and I"